JC images provides Photography and Video services covering the Durham Region and the Greater Toronto Area (GTA). Our Services include Corporate Headshots, Product Photography, Real Estate Photography, Aerial Images (Drone and piloted), Family Portraits and modelling shoots. We also offer Album and Wall-art printing services for the images we create. JC images was created by Jeremy Cartlidge. Jeremy has been an avid photographer ever since he was given a gift of a Kodak Disc camera when he was very young. Taking pictures and having the film developed was exciting to see how the pictures turned out if not days or weeks later. It wasn’t until 1996 when Jeremy borrowed his first digital camera for a client that he was truly hooked on photography. With a resolution of less than 1 MegaPixel it drastically paled in comparison to today’s technology but provided instant results and turnaround processing times of minutes versus days. Professionally, Jeremy is self-employed working in the photography/videography and IT businesses. With Cisco, Microsoft and Google certifications, Jeremy has the experience to deal with the vast amounts of data created by today’s photo and video industry. Jeremy was certified as a PADI SCUBA instructor in 2007 and is currently a PADI MSDT (Master SCUBA Diver Trainer). 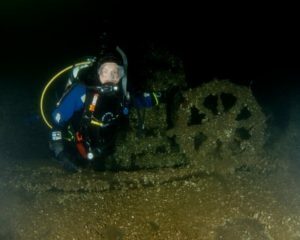 He teaches an underwater photography and videography course among other SCUBA courses through Dive Source Scuba in Oshawa Ontario. Since 2006 he has managed the photography team for the Canadian International Air Show providing an outlet for his love of aviation. Jeremy has a certificate for UAV (drone) flying and possesses an aviation radio and license for UAV shoots.Now, after 20+ years of professional photography experience, Jeremy continues to shoot photos and video with Nikon DSLR cameras and lenses. DJI Drones and gimbals acquired through NPTS and Dronemarket.ca also add to the hardware collection. JC Images offers Portraits, Headshots, Engagement, Dating Profile Images, Modelling shoots and Corporate photographs. We cover all areas of Durham region including Whitby, Oshawa, Brooklin, Ajax, Pickering, Courtice, and Bowmanville / Clarington. We offer in-home, office and outdoor location sessions in the Durham Region. A photograph can bring back memories. A photograph can make you speechless. A photograph can sell your product. A photograph can evoke strong emotions. A single photograph can outlast everything depicted in it. Make that photograph move and it can do much, much more.